Feeling guilty about not having enough time to take her dog, Duke, on his daily walks, Aussie mum Jessica Thomas created DOGSHARE – a unique web platform that connects like-minded dog owners with one another for the benefit and care of both pets. For example, imagine having someone who is familiar with your pet looking after him or her while you’re on vacation. While DOGSHARE is popular with dog owners who are looking for someone to look after their pooch while they’re on vacation, the free matching service can also help you find someone to swap a wide range of dog minding services, including: backyard-sharing, doggy daycare and reciprocal-dog-walking. Jessica believes the DOGSHARE website also encourages positive interaction between neighbours, helping people to establish closer ties to the community. Setting up a profile requires completing an online form and uploading an image of your dog with its size, age and temperament. New members can then search other member profiles to find the perfect match for their precious pooch. 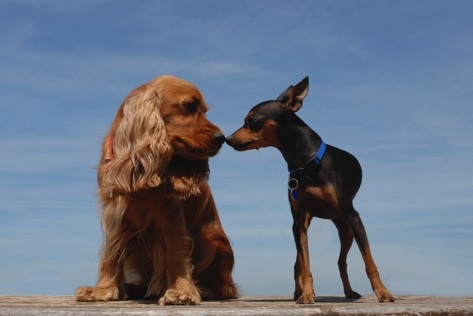 Through the website, members can contact each other directly and organise to meet up to ensure that both canines and their owners are a good match. You can also find Dogshare on Facebook, on Twitter and on Instagram.